Coral can be pricey, but here is a great alternative that looks and feels exactly the same! And did I mention- super easy? After deciding which side of the sponge should be the base of the candlestick holder, next pick where the candlestick will stand, and use scissors to trim a small hole to fit the storage cup. This cup will hold the candlestick. 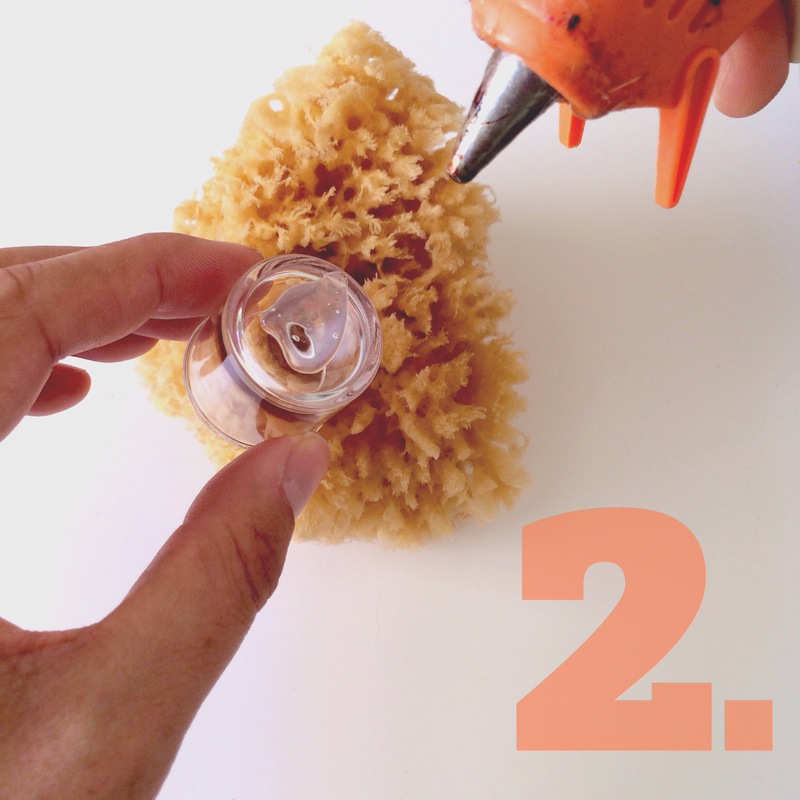 Apply hot glue to the base of the small cup and insert this cup into the pre-made hole. Make sure the cup sits straight so that the candlestick will stand up properly. Next, prepare the plaster mix. Follow the instructions on the box. 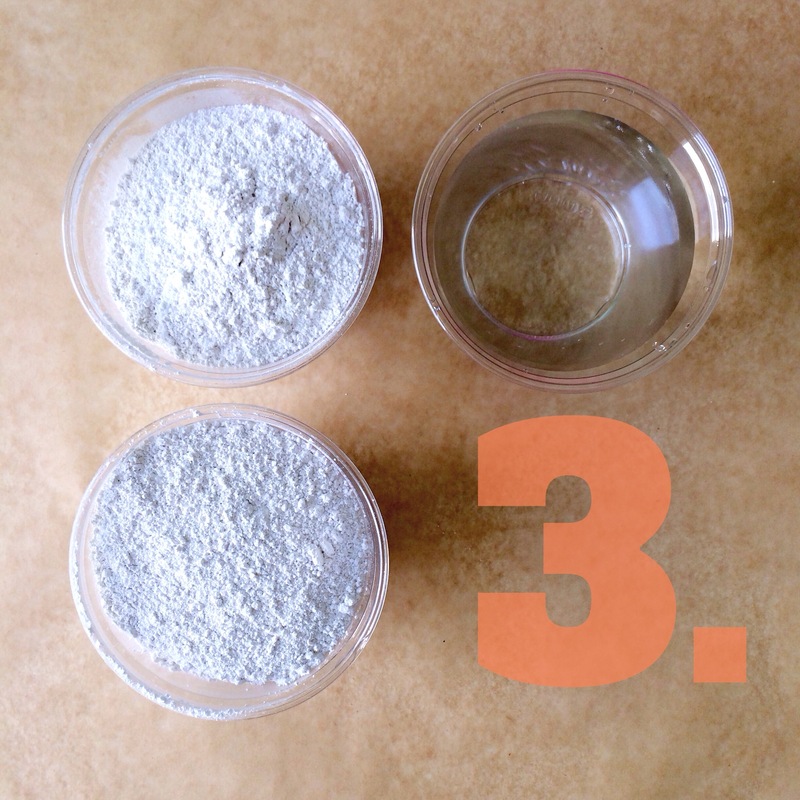 2 parts plaster mix to 1 part cold water, mix thoroughly, and use immediately. 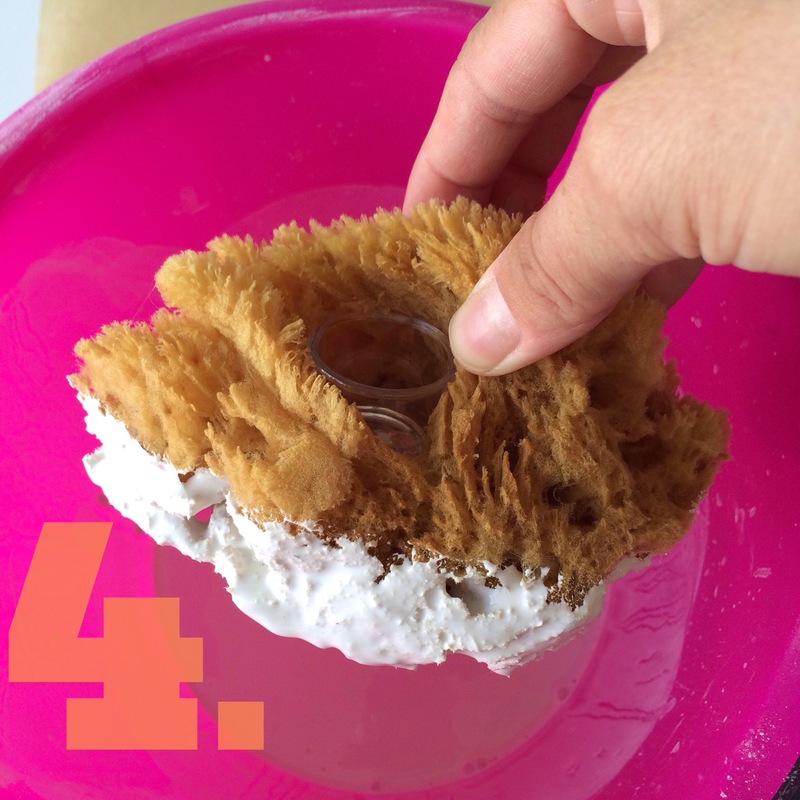 For four sponges I used 4 cups plaster and 2 cups water. 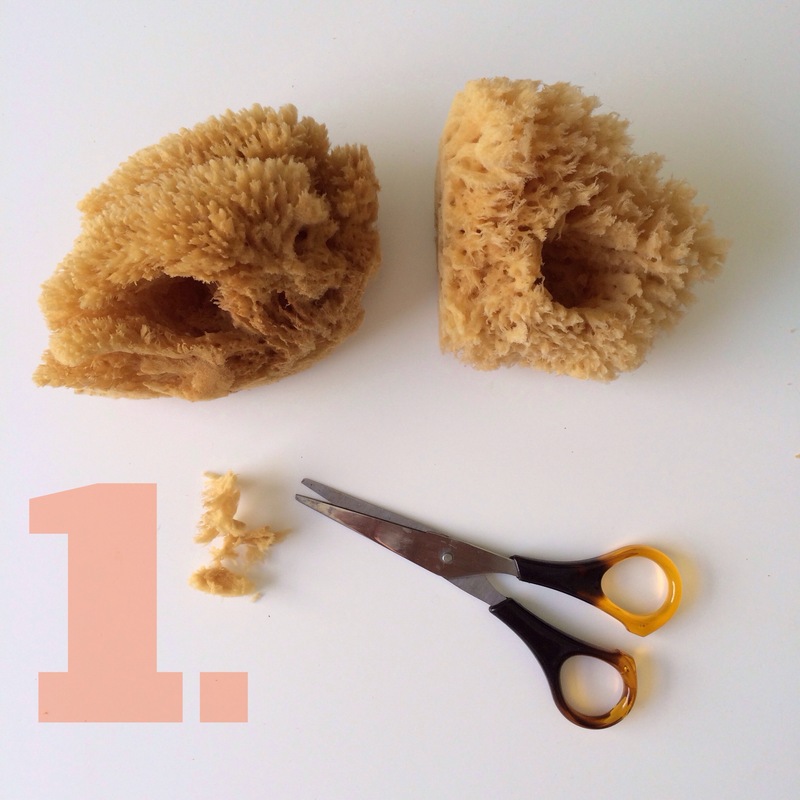 Completely submerge each sponge, dipping, repeating, and turning around to make sure all surfaces and crevices are covered. 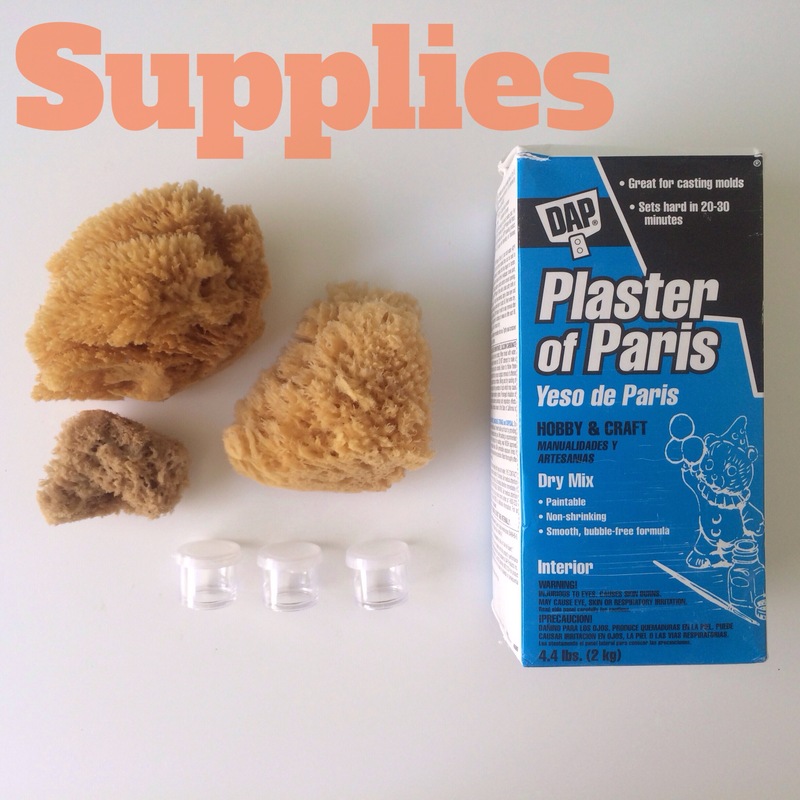 Set each sponge on wax paper or tin foil and let them dry completely over night. Add candlesticks and display your master piece! 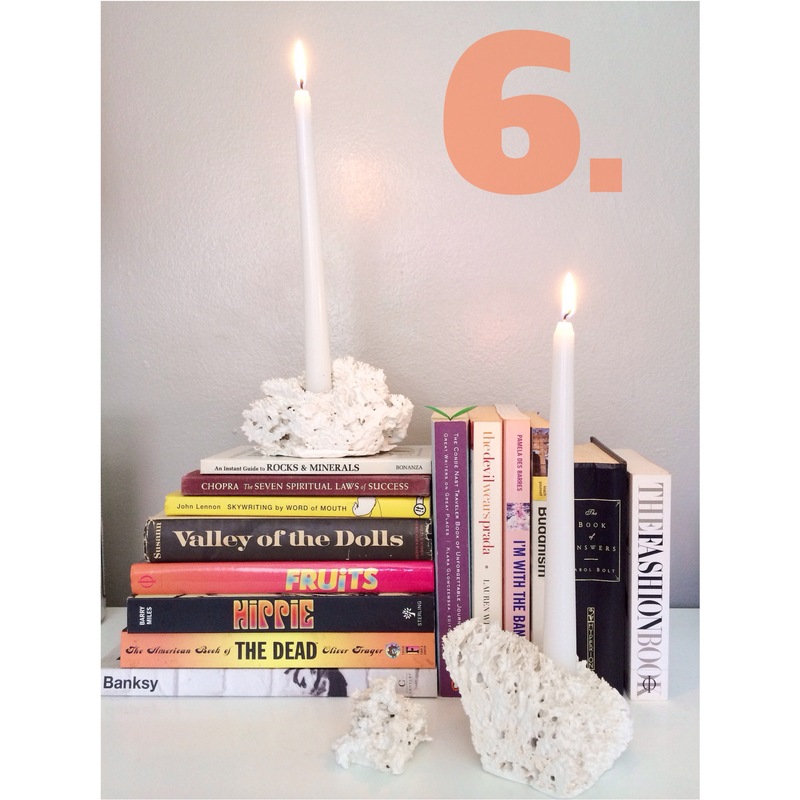 If the candlesticks don’t stand up straight, here is s trick to help. Light the base- end of the candlestick and let a few drops of melted wax drop into the cup. 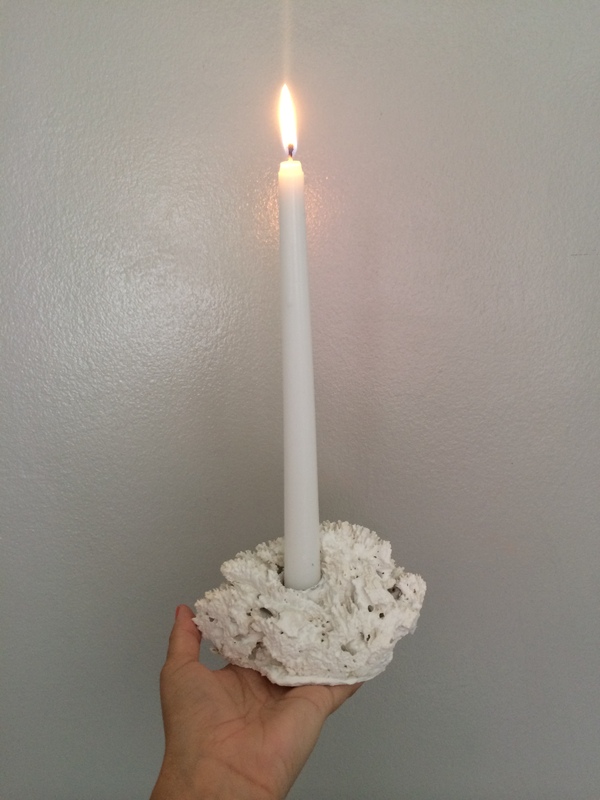 Quickly add the candlestick and hold it upright in place until the wax has hardened. 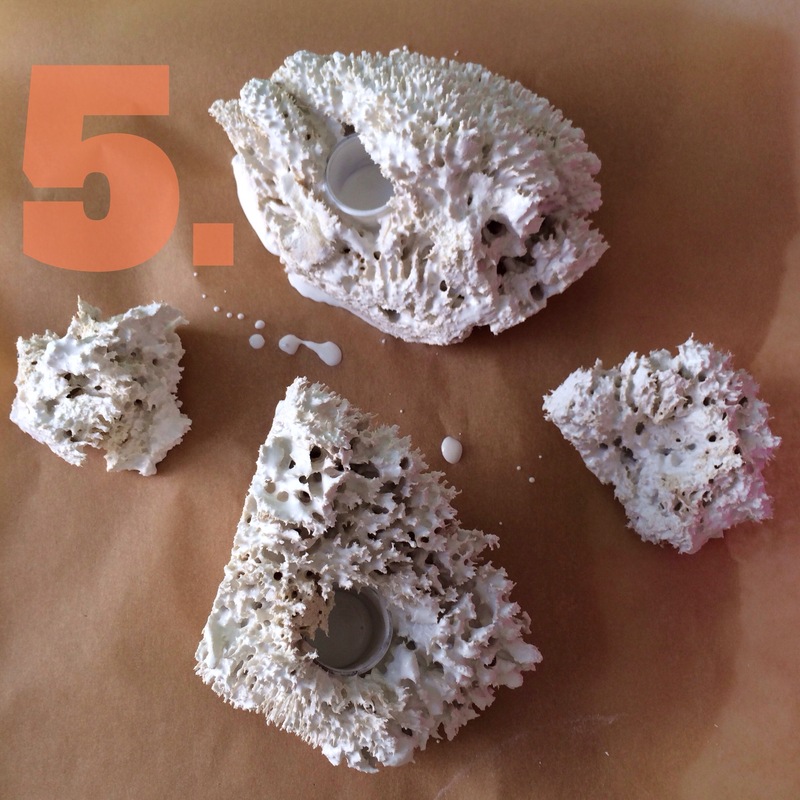 This entry was posted in DIY and tagged Candle, Candlestick Holder, Coral, crafty, diy, home decor, plaster of paris, sea sponge. Bookmark the permalink.